In yet another article regarding Apple's bemoaned iOS Maps, The New York Times claims that Google will be adding Street View functionality to its web app in as little as two weeks, giving iOS 6 users access to the exclusive Google Maps feature. The information was revealed by NYT technology journalist David Pogue in a Wednesday report regarding a recent experience with the new iOS Maps. Apparently Pogue used Apple's new mapping service to guide him to a speaking engagement and, while the interface was clean and the directions were clear, the system ended up taking him to the wrong destination, making him late for his talk. The tech writer's troubles echo earlier reports of incorrect, old or missing location data. Pogue slammed Apple's foray into map making, saying "Maps is an appalling first release. It may be the most embarrassing, least usable piece of software Apple has ever unleashed," but unlike similar reports, offered alternatives to the service and in doing so let loose that Google would be rolling out Street View for its iOS-compatible web app in two weeks. You can still use Googles maps  on the Web. Visit maps.google.com and accept the offer to create a Home-screen icon for you. You wont get spoken directions, but youll get written directions, public transportation details, live traffic reports and, of course, Googles far superior maps and data. (In two weeks, youll be able to get Street View this way, too, says Google.) And you can install the Google Plus Local app for full access to Googles more complete database of shops and businesses. Currently, the Google Maps web app does not support Street View. 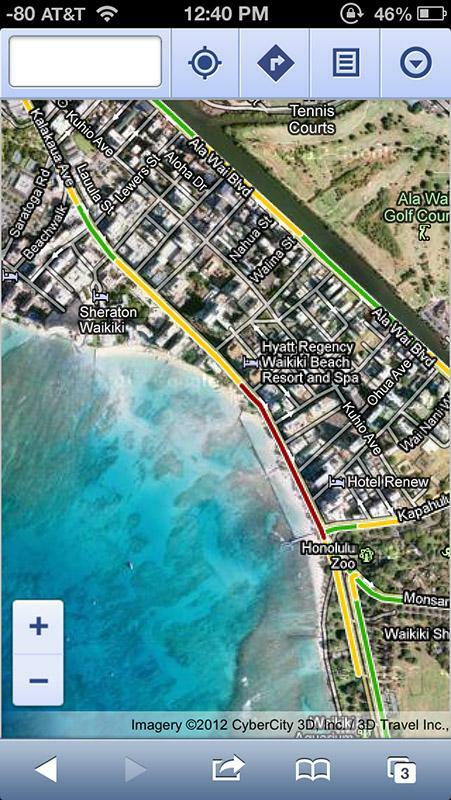 In replacing Google Maps in iOS 6 with its own proprietary solution, Apple lost the Street View feature Google spent years to build, substituting it with a 3D rendering function called Flyover. Although a nice addition to iOS Maps, Flyover is limited to certain major metropolitan areas and some say the functionality is not as useful as an on-the-ground view of a location's surroundings. Later in the report, Pogue noted Apple is taking full responsibility for the missing features, including incorrect place names. We own this; we manage the vendors," said an anonymous Apple executive. "This is no ones issue but ours." Last week, Apple issued a statement regarding the complaints over iOS Maps, promising that the service is a work in progress and would get better with time.